A member of the leadership team at Stop Common Core in Michigan says their activists are “not fooled” by Trump education secretary pick Betsy DeVos’s claim she is not a supporter of Common Core. 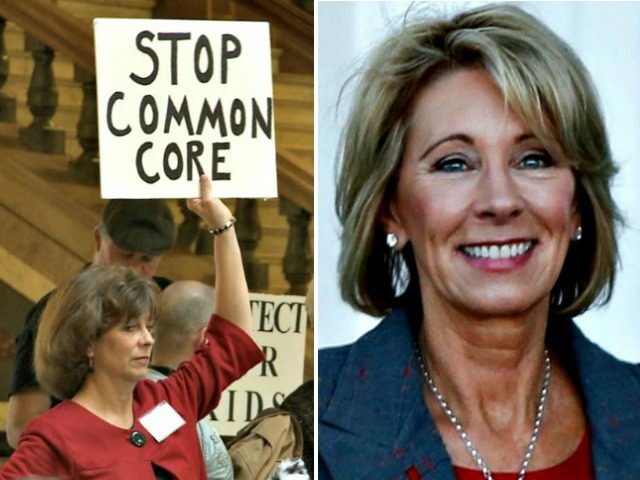 “Parents, educators, and grassroots activists across the state of Michigan know exactly who DeVos is and her position on Common Core,” Karen Braun tells Breitbart News the day after DeVos joined Trump in Grand Rapids at a “Thank You” tour stop in her state. DeVos told the crowd at the rally that “making education great again” means “finally putting an end to the federalized Common Core.” But Michigan Common Core opponents want to know when she will come to the aid of parents and educators who have been trying to repeal the standards in her own state. “This means letting states set their own high standards and finally putting an end to the federalized Common Core,” she added. DeVos’ parsing on Common Core is going to become harder to maintain the more she speaks on education…[Her] use of the qualifier “federalized” is telling. DeVos likely believes Common Core is a high standard and a quality choice for states; otherwise she would be with us at Stop Common Core in Michigan, fighting it to get it out, and replacing it with the pre-Common Core Massachusetts standards. She’s not. Neither is GLEP [Great Lakes Education Project.] GLEP opposes SB 826 through their partnership with the Michigan Coalition for High Student Standards. DeVos has funded and served on the board of GLEP, an organization that promotes school choice and is a supporter of Common Core. “We appreciate the work of the State Senate in supporting the Common Core State Standards, which we believe will make our students more competitive in a global economy,” said Gary Naeyaert, executive director at GLEP, in October of 2013. “In a DeVos system of ‘choice,’ parents will choose WHERE their child is educated but WHAT they are taught is not up to them,” Braun continues, quoting from a report from the American Federation for Children, on which DeVos has served as a board member since 2008 and has been its chairman since 2009. “Through educational choice, parents are empowered with the ability to choose the environment—whether it is a traditional public school, charter school, private school, virtual school, home school or blended learning—that best suits their children’s needs,” the report read. “That’s not true choice and will result in the destruction of educational freedom for all parents,” Braun states. Braun’s assertion is shared by many homeschoolers as well. In May of 2015, Breitbart News featured comments from homeschooling parents across the country who reject the idea of school vouchers, the transfer of taxpayer funds from public schools to private, religious, or even homeschools. Programs that give public moneys to homeschoolers would undermine our freedom to homeschool, as would legislation that attempts to guarantee our rights and freedoms. Government “favors” would require that homeschools be accountable to the government, which would make homeschools more like public schools. Our goal is to make your job as easy as possible and our homeschooling as successful as possible. No new homeschooling legislation is needed, and essentially any legislation would have drawbacks and risks. It’s really imperative that homeschoolers remember there is never, ever, ever a “free lunch.” In other words, the offer of vouchers for homeschoolers is a Trojan horse and will – at some point by someone – undoubtedly result in increased regulation that will steal parents’ academic freedom. 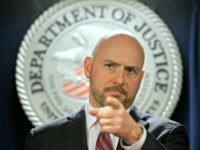 This already happens in private religious schools that take voucher students – i.e., bureaucrats require that “parochial” content in such schools be removed from instruction – and there is no reason to believe that similar restrictions would not be strongly enforced on homeschoolers, too. We should not be fooled. Our parental freedom to educate our children according to our own convictions is worth far more than the bowl of pottage represented by voucher dollars. Braun says that she has been in touch with parent activists in Missouri, Texas, Oklahoma, Indiana, and other states, who know well how influential and wealthy special interests like the DeVos family and their funded organizations have blocked efforts to repeal Common Core. SB 826, I’m told, is dead. No one wants to touch it. State Senate Majority Leader Meekhof will not move it. DeVos through GLEP will make sure of it. Or it will be so watered down so we have a bill that pro-Common Core Gov. Rick Snyder will sign. A bill that he will sign is a bad bill and does nothing. Braun notes the companion bill in the state House – HB 5444 – could be reintroduced in January. “The fact that so many lawmakers in Lansing know the truth about DeVos and are giving her a pass tells me it is an uphill battle,” she concludes.